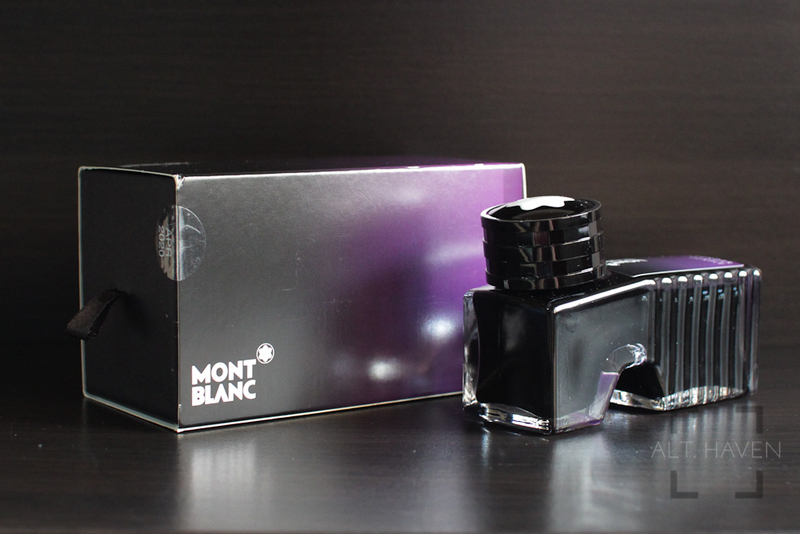 Mont Blanc Lavender Purple is a dark purple / red colour that I enjoy a lot. It doesn’t shade very much but still subtly visible on a M nib and wider nibs sizes. This is a saturated ink. 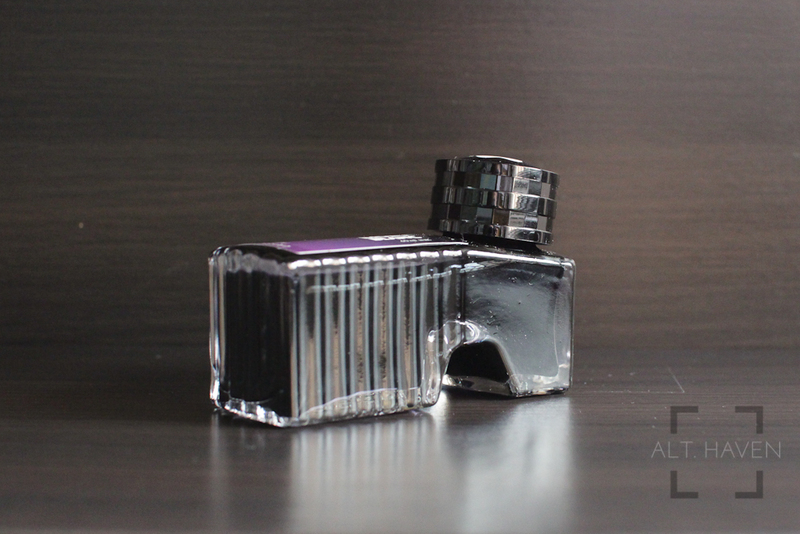 I almost wish Sailor Bungbox Ink of Witch was this colour. Lavender Purple goes down a wine purple but dries to a purple less red. 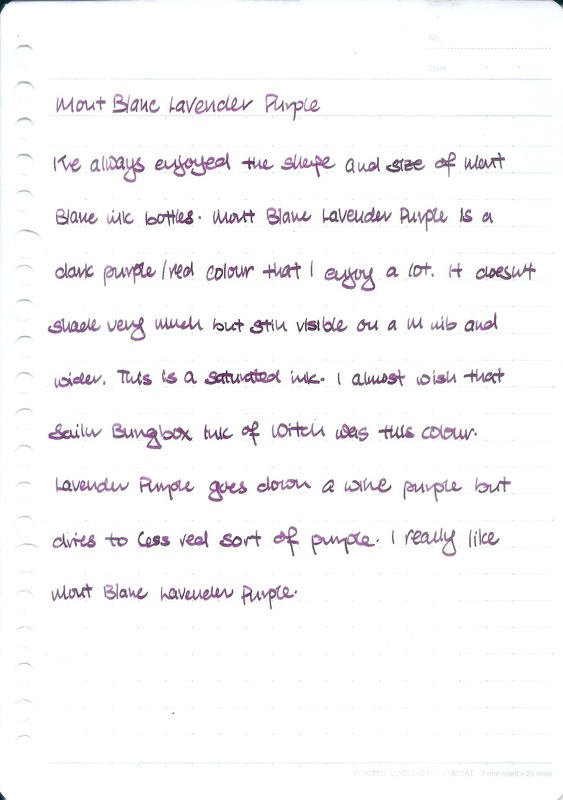 I really enjoy Mont Blanc Lavender Purple. This might be my replacement for Sailor Bungbox L’Amant if I can’t get anymore of that.